After forgetting a portion of his third-round, Brassy decides to call an end to his round (and battle) prematurely. Money is confident that his second round was a clear win, so a clean third round is all that’s needed to secure victory. Despite this, Mark goes for the throat with a four-minute diatribe (twice the required length). In doing so, Money effectively highlights his superior memorization skills, while showcasing his ability to rebuttal, scheme, story-tell, joke, and win over the crowd. He gets things started on a high note by making fun of Brassy’s third-round choke. The information in this article is for informational and illustrative purposes only and should not be regarded as investment advice or as a recommendation regarding any particular security or course of action. My investment strategy employs a combination of investing, Risk/Reward trading, and day trading. Because of this, it is possible (or even likely) that I might be buying and/or selling the stocks mentioned herein today or at any other time, regardless of (and possibly contrary to) the content of this article or the timing of its release. Investors can learn more about my Risk/Reward trading principles and subscribe to my free newsletter at PipelineDataLLC.com. Also, the opinions expressed here and in Pipeline Data, LLC publications are the opinions of Mr. Gomes as of the date of publication, and are subject to change without notice and may not be updated. This content may also be published at PipelineDataLLC.com at a prior or later date. 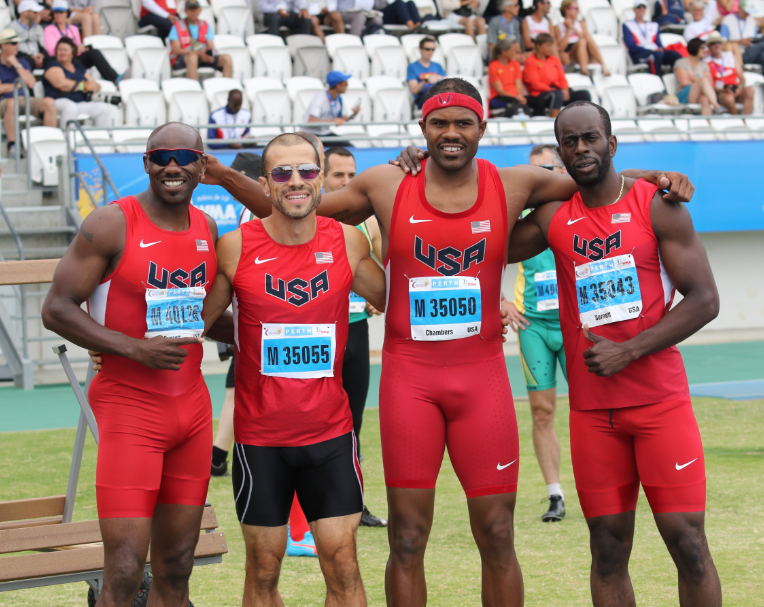 Gomes represented Team USA at the 2016 Masters Track & Field World Championships in Australia. Mark’s lessons extend far beyond the boundaries of Wall Street. He is a disciple of the belief that a person can achieve anything within their natural abilities via education and dedication. Exemplifying that philosophy, Gomes turned his attention to Track & Field upon his retirement in 2008. In 2011, he became the U.S. Masters 800 Meter Champion. In 2016, he focused on the 400 Meter event and won the Masters World Championship later that year. He retired with the World title and multiple Masters World Records. His memoir, “Faster Than Forty” detailed the diet, lifestyle, and training that enabled him to shed 50 pounds and return to Track & Field after a 13-year hiatus. Information can be found at www.fasterthanforty.com. Mark has since turned his attention to competitive battle rapping (warning: explicit material). With this endeavor, “Money Mark” hopes to teach young adults in urban communities that anything is truly possible with the proper education and dedication.